Richard Durand recently revealed his long-planned restructuring, with a root-and-branch change-up to all areas of his musical province. Reloaded will become the Dutchman’s new ‘all-bases-covered’ marque and with its maxim/mission of “Harder, Faster, Bigger, Bolder… Darker!” it’s a return-to-the-underground reorientation - his first since his career took off, nearly 10 years ago. The first in a succession of Richard revisions will come with the launch of his new label, Reloaded Music, (which will slot into the place of the outgoing Terminal-4 imprint). 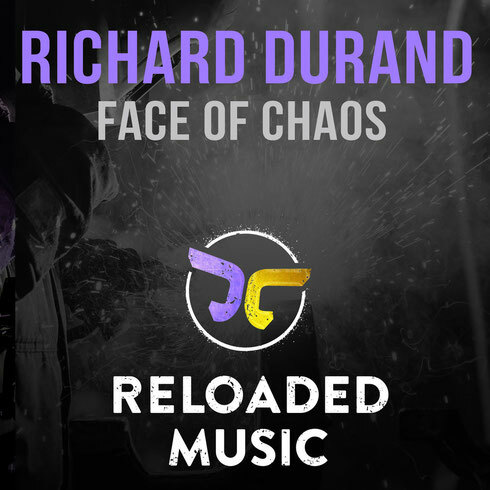 With ‘Face Of Chaos’, clubbers have their first-taste of Durand’s new single material. It’s already drawn a response from DJs such as Aly & Fila, Giuseppe Ottaviani, Sneijder, Jordan Suckley, Standerwick and Mark Sherry among them. The single will be followed by other Reloaded Music releases, building to a new, more underground slanted artist album (his first since 2012’s ‘Richard Durand Versus The World’) in late 2015. Further Reloading will also occur on the mix-comp front. Having put together the last six editions, ‘In Search Of Sunrise 13.5 – Amsterdam’ (released this July) will be his last, as he relinquishes the reins of the series. Tracking his new, more propulsive musical theme, in 2016 Durand will be launching a fresh music-compilation series. ‘Reloaded – The First Round – Mixed By Richard Durand’ will become the first in his new, yearly dual-disc compilation line.